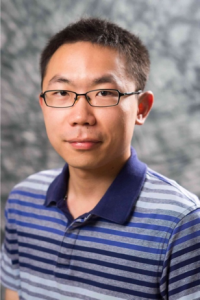 Jiawei Liu is a Ph.D. Candidate in the School of Journalism and Mass Communication at the University of Wisconsin-Madison. Liu’s research interests revolve around using empirical methods to investigate the effects of mass media messages in political communication and health communication. He is especially interested in cognitive media effects models with an emphasis on framing effects in digital contexts. Liu’s interdisciplinary research has been published in the fields of mass communication, politics and public health. He is the recipient of the Top Four Paper Award from the Health Communication Division of the International Communication Association as well as multiple travel awards and grants from national and international conferences. In addition to being an active researcher, Liu has four years of teaching experience. Liu earned his B.A. in International Journalism from the Communication University of China, and his M.S. in Journalism from the University of Illinois at Urbana-Champaign. While studying journalism, he has accumulated professional experience through interning at both print and broadcast news organizations including the Global Times and CNN. He has also co-edited an award-wining documentary that was aired regionally on PBS.